NRDC works to safeguard the earth—its people, its plants and animals, and the natural systems on which all life depends. We combine the power of more than three million members and online activists with the expertise of some 600 scientists, lawyers, and policy advocates across the globe to ensure the rights of all people to the air, the water, and the wild. Join us. NRDC was founded in 1970 by a group of law students and attorneys at the forefront of the environmental movement. Today's leadership team and board of trustees makes sure the organization continues to work to ensure the rights of all people to clean air, clean water, and healthy communities. With dedicated staff working in more than a dozen program areas, we partner with businesses, elected leaders, and community groups on the biggest issues we face today. NRDC is a not-for-profit, tax-exempt membership organization incorporated under the laws of the State of New York in 1970. Our work helps safeguard the air we breathe, the water we drink, and the places we treasure. We partner with E2, a national, nonpartisan group that advocates for policies that are good for the economy and the environment. The NRDC Action Fund is the 501(c)(4) affiliate of NRDC. The Action Fund's mission is to build political support in the United States for protecting the planet and its people. 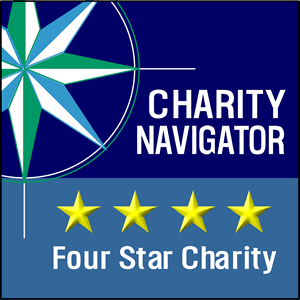 Charity Navigator awards NRDC its top 4-star rating.